Easter Bunny Photos + Easter Egg Hunts! 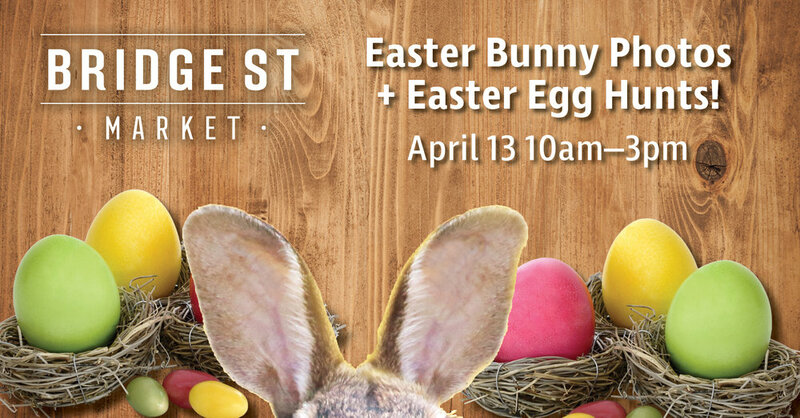 The Easter Bunny is coming to Bridge Street Market! Don't miss your chance to bring the kids for a fun photo opportunity* and to participate in age-based Easter Egg Hunts! *Be sure to bring your own camera (or your smart phone) to take a photo with The Easter Bunny! Seafood Roadshow at Bridge Street Market!